Imagine having more energy, more strength and more confidence. Imagine not just trying to make it through today while dreaming of a slimmer, healthier tomorrow, but being your ideal “you” and living every day to the fullest. Now imagine getting there without all the obstacles. You don’t need to keep living life the same way, you can change. And we’ve created the tools and support to make it easier. Yvonne, a cancer survivor, gained 100 pounds after her illness. With the help of IdealShape, she lost that 100-pound burden in time to make a special hike with her husband for their anniversary. You know in your heart that you're ready for change. But how do you make that first step, today? Maybe you tried a "diet" before and it didn't work for you. The IdealPlan is going to be different. At IdealShape we abandoned deprivation and strict rules, and instead created a full array of delicious, nutritious meals and snacks that you can look forward to enjoying, and that complement your busy lifestyle. Instead of battling low willpower and the desire for fattening foods, you'll crave the nutrients that make you feel light, energized and free to pursue your ideal life. 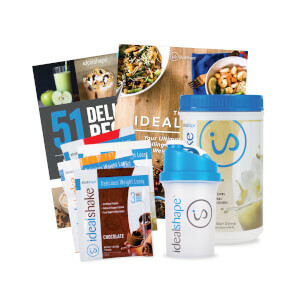 If you're ready to change your appetite and start on a path to the healthy lifestyle you've dreamed of, IdealShape's IdealPlan is for you! 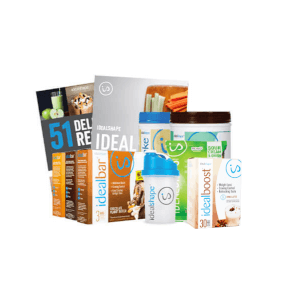 The IdealPlan incorporates three essential products to help you change your appetite: IdealShake, IdealBar and IdealBoost. It also includes the IdealPlan nutrition guide, a complete meal plan customized by weight and gender. 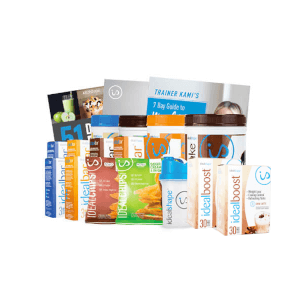 Whether your journey to change starts with a 30, 60 or 90 day plan, you’ll have everything you need to reach your ideal shape!